O'Grady (O Grada or Ui Gradaigh), meaning illustrious or noble, was a collective surname for the descendants of the Irish Gaelic sept, the O Gradaigh. Only from the tenth century, did individual family surnames become hereditary. A sept was "a group of persons inhabiting the same locality and bearing the same surname." (Dr. E.MacLysaght) Irish heraldry does appear to have native roots at least five centuries older than the system introduced by the Anglo-Normans in 1169. However, most of today's Irish coats of arms descend from an Anglo-Norman tradition. Interestingly, Irish coats of arms were regarded as the property of the sept, rather than being strictly hereditary within a single family as is the case under English and Scottish heraldic law. The origins of the O Gradaigh sept are Dalcassian. 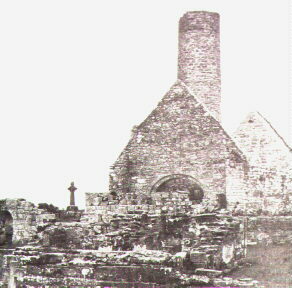 The Dalcassians had their territories at Killansooghlan, by the River Fergus in County Clare. Brian Boru, who died in 1014 at the Battle of Clontarf, was a Dalcassian, famous both as victor over the Normans and as High King of Ireland. As a result of strife with their kinsmen and neighbours, the O'Briens, the O'Gradys moved their stronghold to Killballyowen, in Co. Limerick. The prefixes Mac and O were very widely dropped during the period of the submergence of Catholic and Gaelic Ireland which began in the early seventeenth century. Although the leading family went to Co. Limerick, the majority are still in Clare, where the prefix O is retained more than elsewhere. The name has a more northern association as well with Galway and Westport . The motto on the scroll of the sept arms is "Vulneratus Non Victus", "Wounded But Not Defeated". Several O'Gradys received armorial bearings and titles from the British monarch and became supporters of the English Church. There were both Catholic and Protestant O'Gradys. Churchmen among the O'Gradys included Bishops of Cashel, Tuam, and Killaloe. They also had a tradition of military service. The name today is to be found in the greatest numbers in Counties Clare and Limerick; otherwise it is spread widely. Standish Hayes O'Grady (1830 - 1915), at one time an engineer in America, is highly regarded for his principal work, The Catalogue of the Irish Manuscripts in the British Museum. Eddie O'Grady, national Hunt Trainer, of Thurles, Co. Tipperary was twice Ireland's leading trainer in 1979 and 1980.